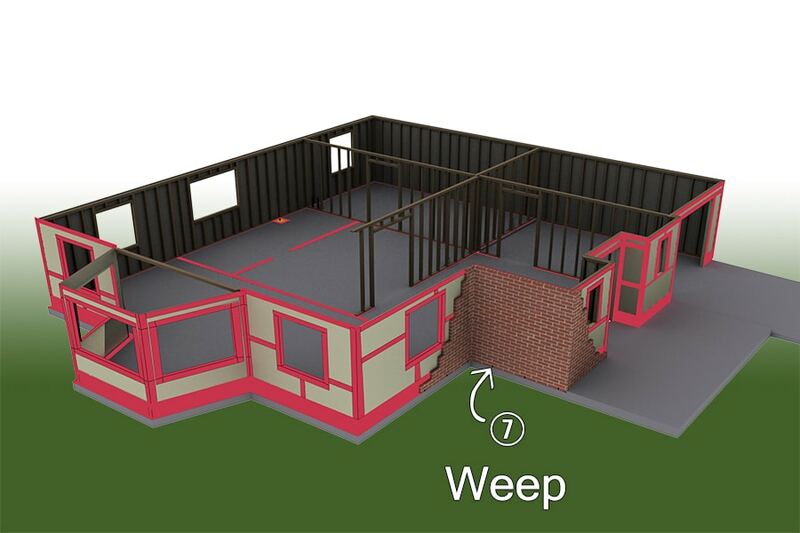 With increasing sophistication of the building envelope, homes are better sealed against moisture and energy leaks. 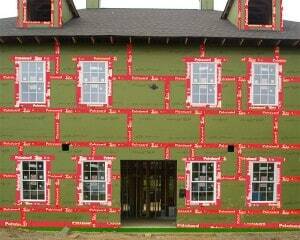 Now you can add long term, non-chemical insect exclusion to your new home by using TERM® Sustainable Insect Barrier as the building envelope. 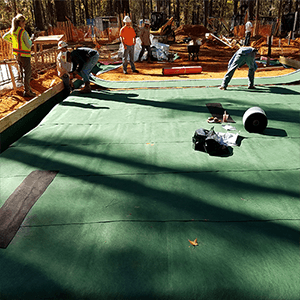 Residential grade TERM Barriers block moisture and termites with continuous above slab and partial above ground barriers. 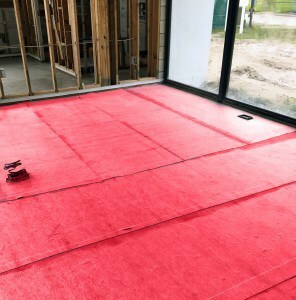 TERM Barriers protect against moisture and energy leaks, plus provide a physical barrier, containing no pesticides, which is classified by the EPA as a “device”. 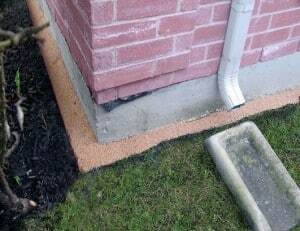 Because TERM is built in during construction, almost every insect entry point around the home will be blocked. TERM Sustainable Insect Barriers were developed over 17 years of testing with entomology scientists at Texas A&M and other major universities. 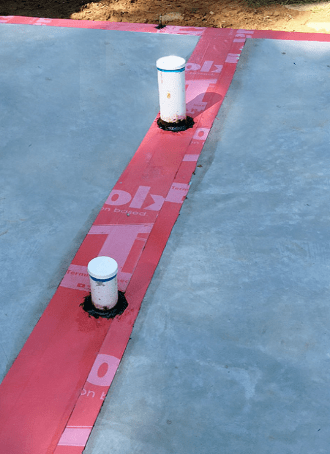 TERM Barriers have been developed by Polyguard Products, a manufacturer of waterproofing and energy saving products since 1952. 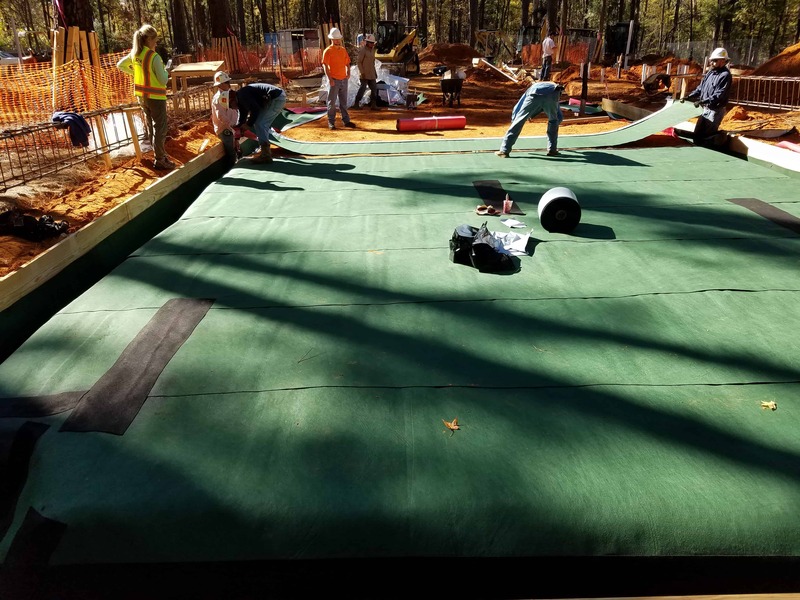 Polyguard materials protect homes, hospitals, stadiums, office buildings, and other major structures across the country and around the world. TERM materials are familiar to those who design and install building envelopes. 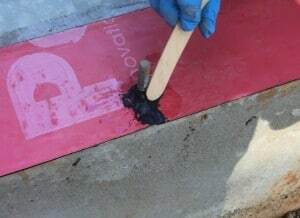 - TERM Sealant Barrier seals moisture out and saves energy. 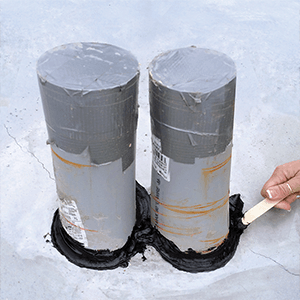 Additionally, it seals out subterranean termites and other insects, using a proprietary non-chemical formulation proven by long and short term laboratory and field university tests since 1999. 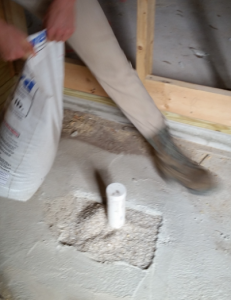 - TERM Particle Barrier are highly specialized stone particles, of a size and shape proven by 60 years of U.S. and international testing to block passage by subterranean termites. 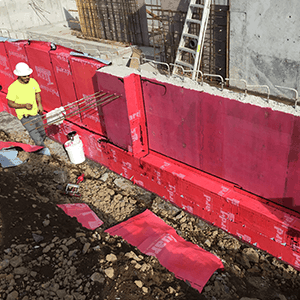 This specialized stone termite barrier has been used since the 1980’s in construction across the Pacific Rim, including Hawaii and Australia. - TERM Micromesh Barrier are specialized screens. Screening used around most structures today excludes many insects, but not smaller species. The most invasive and destructive insects, subterranean termites, require screen apertures no larger than 0.018” (1/55th inch). 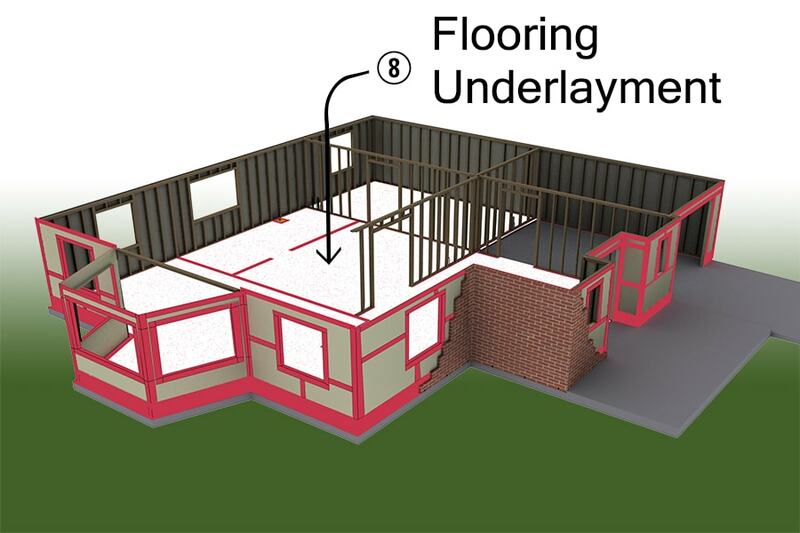 Full underslab waterproofing: cost will increase moderately. 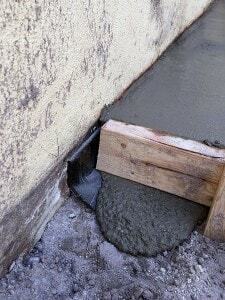 Peel and stick foundation waterproofing: cost will increase slightly. 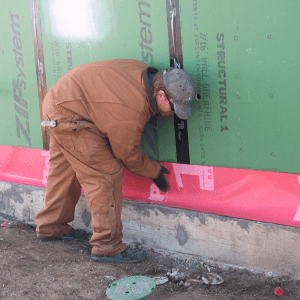 Peel and stick flashing: costs will increase slightly. 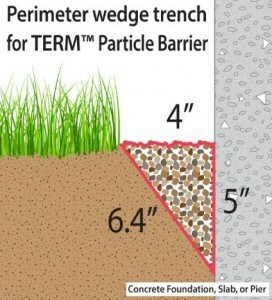 Heavy termiticide treatment (which is typical): this will add several dollars per penetration. Termiticide treatment: this will add perhaps $100/bath trap. 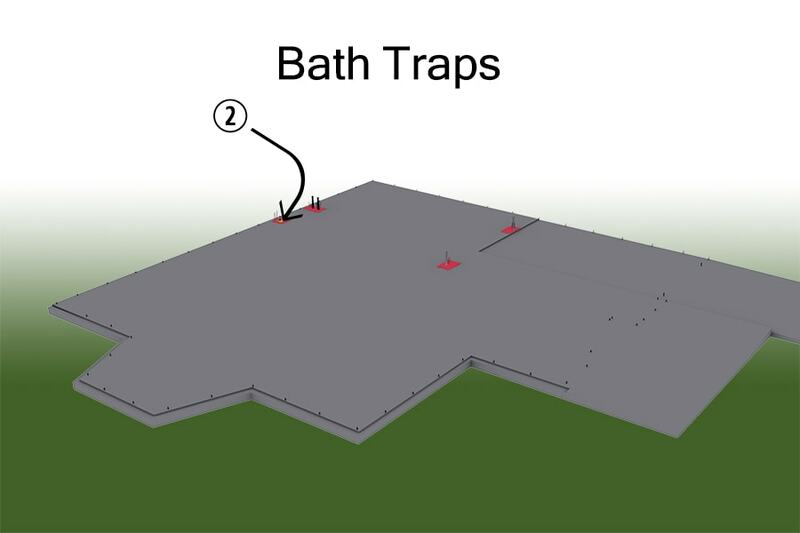 Non-chemical insect exclusion involves recognizing that ground level slabs or floors contain a multitude of entry points for insects coming from underground. 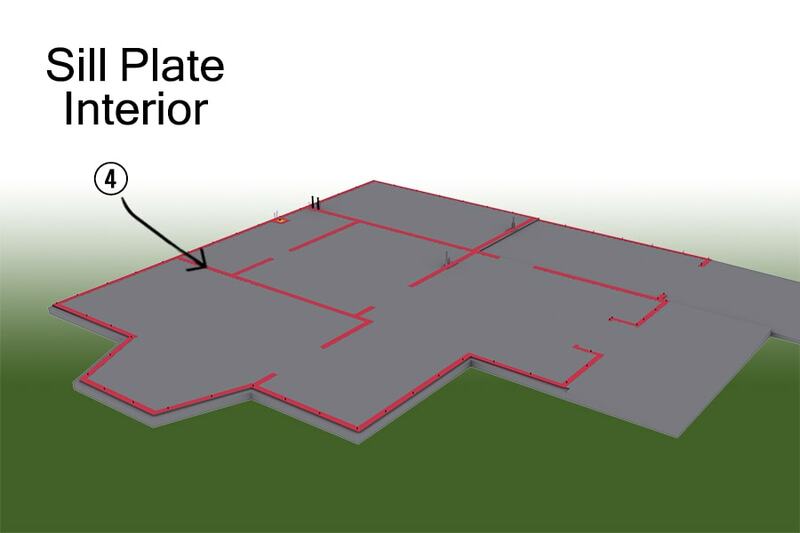 Insect exclusion starts with 100% insect barrier coverage of the ground level horizontal surface, as well as underground walls. 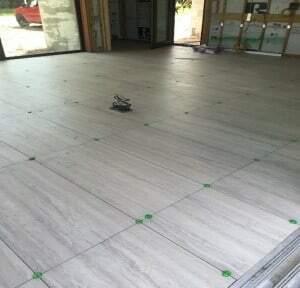 Almost all of these surfaces must be sealed. 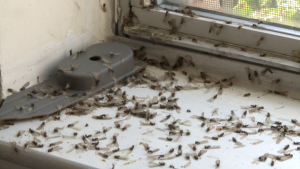 Other areas, generally limited to drainage or ventilation exclude insects using screen or particle barriers. 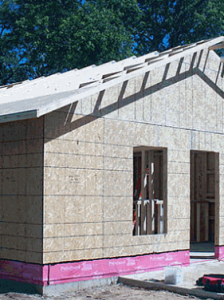 Many sheathing materials are available which are resistant to penetration by insects and termites. 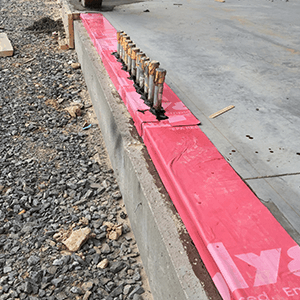 If you design using one of these, the insect exclusion problem is reduced to protecting the many joints, seams, cracks, crevices, and penetrations. 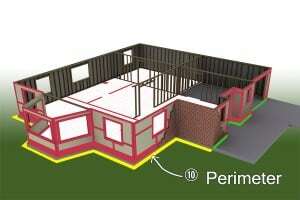 The following section shows the sequence of construction for a TERM Barrier System with slab on grade. Graphics and photographic examples of each barrier are included. TERM Barriers are designed to fit today’s construction practices and trades, thus minimizing disruption. 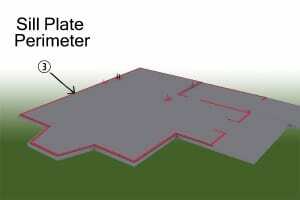 Several of the barriers will be installed by Pest Management Professionals. 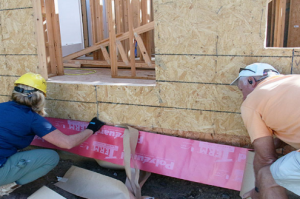 But for the most part, the trades who install TERM Barriers will be the same who install today’s materials. 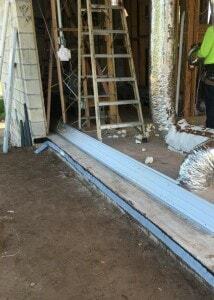 And most of the barrier materials will be familiar to the installing trade, with no additional training needed. 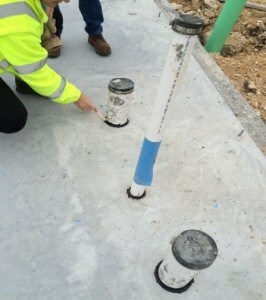 Seal plumbing penetrations after slab pour with TERM Sealant Barrier. 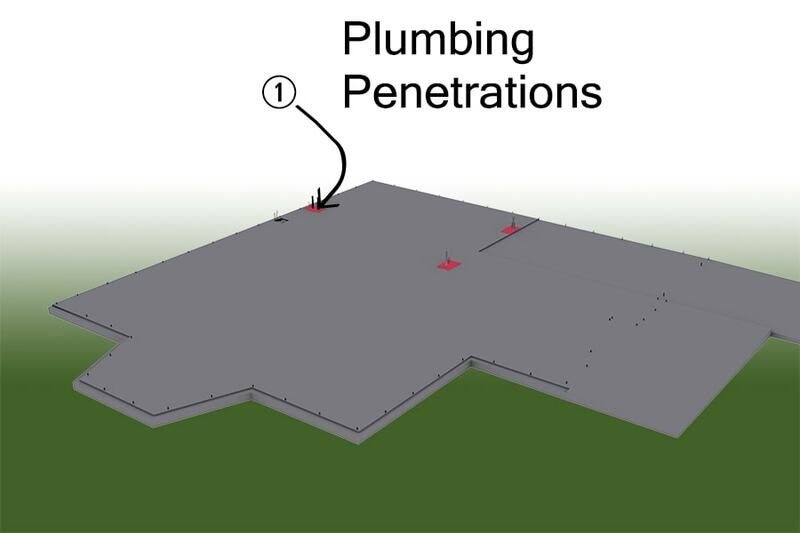 Slab penetrations are a major entry point for subterranean termites. 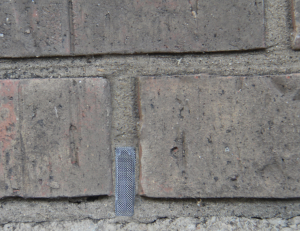 TERM Flashing Barrier at base ties into TERM Sill Plate Barrier at perimeter to block entry of subterranean termites and other insects from entry through the exterior. Also blocks energy leaks and moisture from the exterior. - Completes the 100% horizontal coverage against termite/insect entry through joints, cracks, etc. 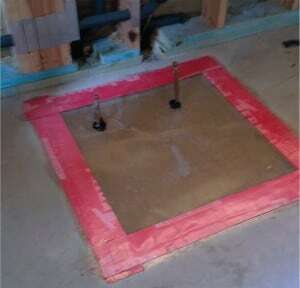 - Incorporates moisture barrier and sound deadening. Sealant self-heals nail holes. Cold joints (also called isolation joints) are non-moving joints between the structure’s slab and exterior concrete. 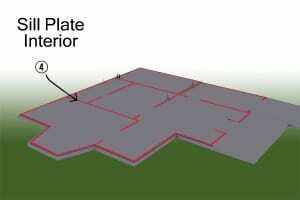 Examples are driveways, sidewalks, and patios. 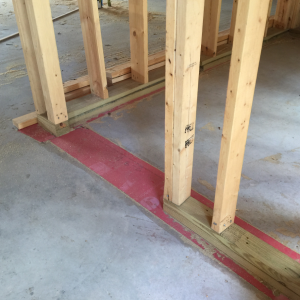 TERM Isolation Joint Barrier seals the gap between interior and exterior slabs. 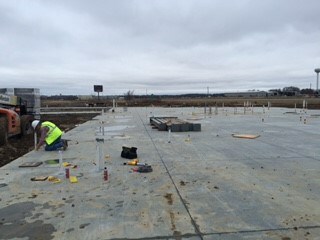 Isolation Joint Barrier shown after concrete work and before form removal/landscaping. 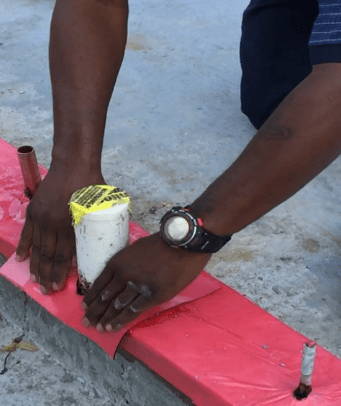 At exposed concrete perimeter areas TERM Particle Barrier blocks subterranean termites from building “mud tubes” up the exterior concrete face. 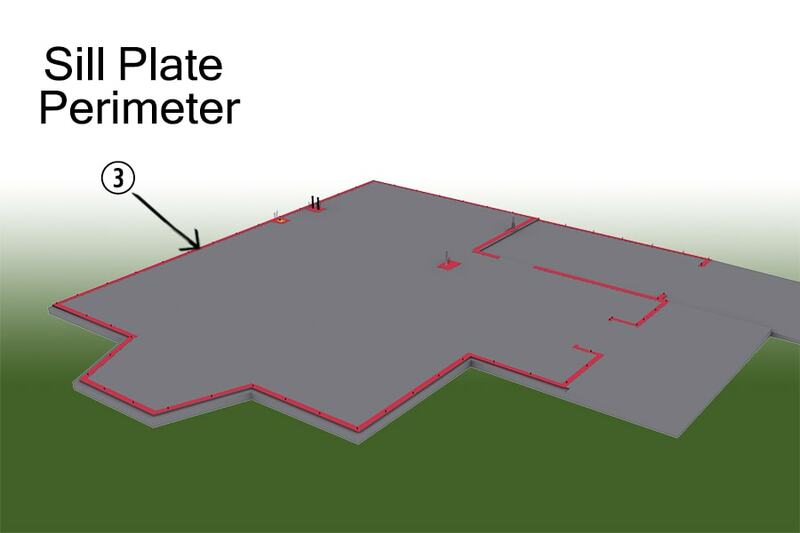 Particle Barrier must be inspected periodically and restored as necessary by Pest Management Professional. The barrier can be breached by pets, children playing, landscaping, construction activities, etc. TERM Particle Barrier treatment can be applied to existing, as well as new structures.